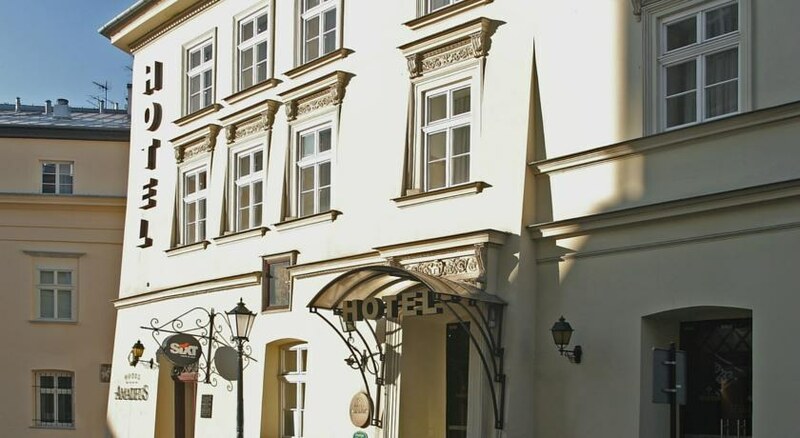 Located in the heart of Krakow old town between the cobbled streets of the historical centre. Krakows main market square is only a short 2 minute stroll from the hotel. 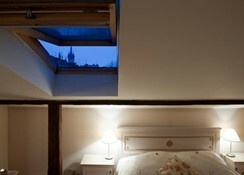 Elegantly designed 15m sq rooms with Air-conditioned,satellite TV, a telephone and internet access. Room facilities include: Safety Deposit Box, Air Conditioning, Desk, Heating, Shower, Hairdryer, Bathrobe, Free toiletries, Toilet, Bathroom, Telephone, Radio, Satellite Channels, Minibar, Electric kettle. FREE WIFI is available in all rooms. 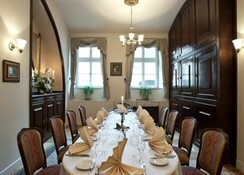 The Amadeus Restaurant focuses on Polish and international dishes. 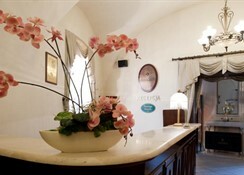 It also features a selection of wines and a cafe in which guests can get a snack, tea, coffee or a drink. 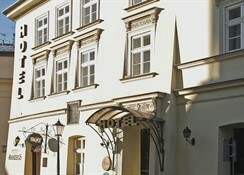 A very quaint boutique style hotel ideal for those that wish to treat themselves to some of Krakow finest accommodation. 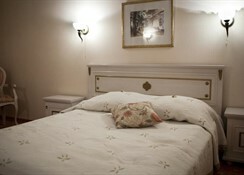 10 kms to the nearest airport (john paul ii international airport), 1 km to the nearest station (krakow station). Small sized lobby, Earliest check-in at 14:00, 1 lift, Porterage 24 hour, Room service 24 hour, 3 floors, Gymnasium, Sauna, Disabled facilities. Internet via television, Connection for laptop, Air conditioning, Television, Satellite television, Mini bar, Hairdryer.